Calaméo - Looking for Reliable Freight Shipping Services? ITS and Landstar is the Team for You! Looking for Reliable Freight Shipping Services? 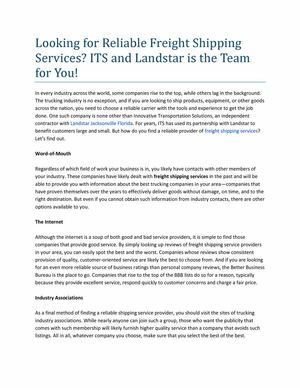 ITS and Landstar is the Team for You!